Product prices and availability are accurate as of 2019-04-21 05:55:04 UTC and are subject to change. Any price and availability information displayed on http://www.amazon.com/ at the time of purchase will apply to the purchase of this product. 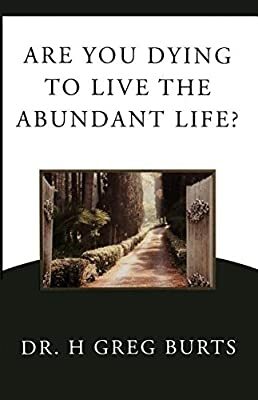 Author Bookstand is proud to offer Are You Dying to Live the Abundant Life? by Bookstand Publishing. Bookstand Publishing offers books by the best indie authors throughout North America and the world. Bookstand Publishing is dedicated to offering original content to a broad audience and promoting great authors, literacy, and freedom of expression. Are You Dying to Live the Abundant Life? has generated a lot of interest and excitement and we think it would be an excellent addition to your library. Jesus said, “If you cling to your life, you will lose it; but if you give it up for me, you will find it.” (Matthew 10:39). In the Congo, the way that the men catch a monkey is a vivid picture of the “dying to live” principle. A jar is tied to a tree, with a nut strategically fixed at the bottom. The nut can be accessed only through a single, small hole in the jar designed to accommodate the monkey’s outstretched fingers. Access to the nut is easy, but when the monkey clasps the nut, making a fist, his hand cannot be withdrawn and the monkey is trapped. In order to get his hand out of the jar, the monkey will have to loosen his fist and let go of the prize. If he would only let go, he could easily pull out his hand and be free. The refusal to give up the prized possession results in a deathly consequence. He gains a nut but loses his life. What prized possession is keeping you from living the abundant life?